Are you a Candidate for Mature Adult Dentistry? Are you in need of extensive treatment due to years of avoiding seeing the dentist? Prefer to visit one office for comprehensive care, rather than traveling to different locations and seeing unfamiliar professionals. Want to make sure you are receiving the right treatment, the most advanced and highest quality of care available. As we get older, our dental needs change. We still want to have beautiful and healthy smiles, but often the health of our mouth has been compromised. Food and drinks cause our teeth to yellow with age; use grinds them down or causes decay. Very often, periodontal disease creeps in, and our teeth can become loose, fall out, crack, break or chip. Some people need help retaining their original teeth. Others would benefit from dental implants or replacement dentures. Many require extensive dental work. 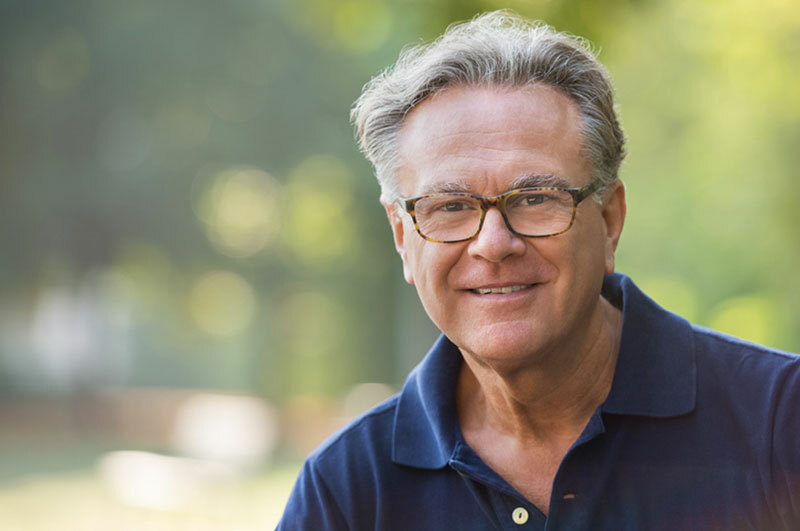 With excellent planning and the latest dentistry technology available for mature adults, Dr. Mitrogogos can restore your smile to complete health, function and beauty — all in a surprisingly short period of time! When you and Dr. Mitrogogos decide that it is time to restore your mouth and smile, you will work as partner until your restoration is complete. Whatever level of care you require, Dr. Mitrogogos will take the time to listen and provide you with a dental treatment plan that best fits exactly what you are looking for. He has over 34 year of experience treating patients in the Orlando area and he can fully handle even the most complex cases. Dr. Mitrogogos realized early on that people desire having one qualified dentist who they can trust to see them through all of the dental procedures they require without being referred to outside dentists. He knew this was particularly important for his adult patients with complex needs. To accomplish this, Dr. Mitrogogos has taken well over 2000 hours of continuing education to be able to provide every type of dentistry needed. As a result, he has created a single dental practice where all of your questions can be answered and all of the procedures that you need can be preformed comfortably to give you the beautiful and healthy smile that you deserve. A fully functional mouth is not just beautiful, but also improves your quality of life. Being able to eat and speak without pain is vital to a happy and active lifestyle. Dr. Mitrogogos understands this and wants you to be completely comfortable and to have absolute confidence in your beautiful mouth and teeth. What Dental Concerns Can we Address with Advanced Adult Dentistry?